Protect your engine and keep the maintenance low with SHELL’s Rimula Commercial Oils. Any questions? Just give us a call! 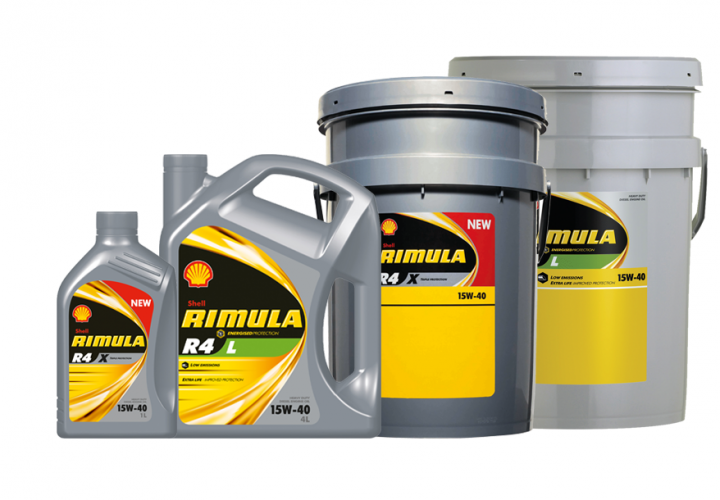 The Shell Rimula range is for all your commercial needs. At Wrack Auto Electrical we provide you with Shell Rimula R4L 15W40 and R4 X 15w40 which have an improved fuel economy, thanks to its adaptive technology which gives great wear protection with reduced viscosity. Check also out our Heavy Duty Batteries! The heavy-duty and truck engine oils from Shell protect the performance of your vehicles exhaust emission control system and ensures its operating efficiently. The “L” in the product name of our product of choice Rimula R4L 15W40 stands for low emission, improved protection for engines of all kind and ages and extra life. In the range of advanced multi-grade oils, we provide you Rimula R4X 15w40 at Wrack Auto Electrical, an oil which meets the latest industry and OEM approval requirements, developed for the latest on and off-highway vehicles. Shell Rimula is the perfect choice for your truck as its special formula with an optimized combination of additives brings a longer lasting, cleaner and better protection for your engine. Visit us now to get your Oils. Why to choose Shell Rimula? Shell Rimula brings three main product benefits: acid and deposit protection and wear control. Shell Rimula diesel engine oils contain molecules which protect the engine by forming a protective film reducing the wear by reacting under pressure and heat. This protection is critical in high-pressure points as the engine valve rain and gearbox. Thanks to its powerful antioxidant agents, Shell Rimula oils neutralize acids before any damage may be done to your engine. With low quality oils you may not have the same protection which may lead to corrosion and engine failure. Shell Rimula Oils also helps keep your engine clean and running efficiently thanks to molecules which block deposit-forming particles and therefore avoid piston deposits. You also might want to keep your Car Air Con in good shape. Let us take care of it for you!